Rough&Ready All Black benches are available in the same dimensions (7x15 cm - 2.8”x5.9”) as our FSC® hardwood benches. The entire Rough&Ready product range is available in environmentally-friendly All Black beams. This durable material is maintenance-free, has a coarse structure and does not splinter or crack. Ink and paint cannot penetrate the matt surface of the material. its colour throughout the structure of the beam. The colour is created using a polyethylene and polypropylene compound that remains durably black due to a process of UV stabilisation. 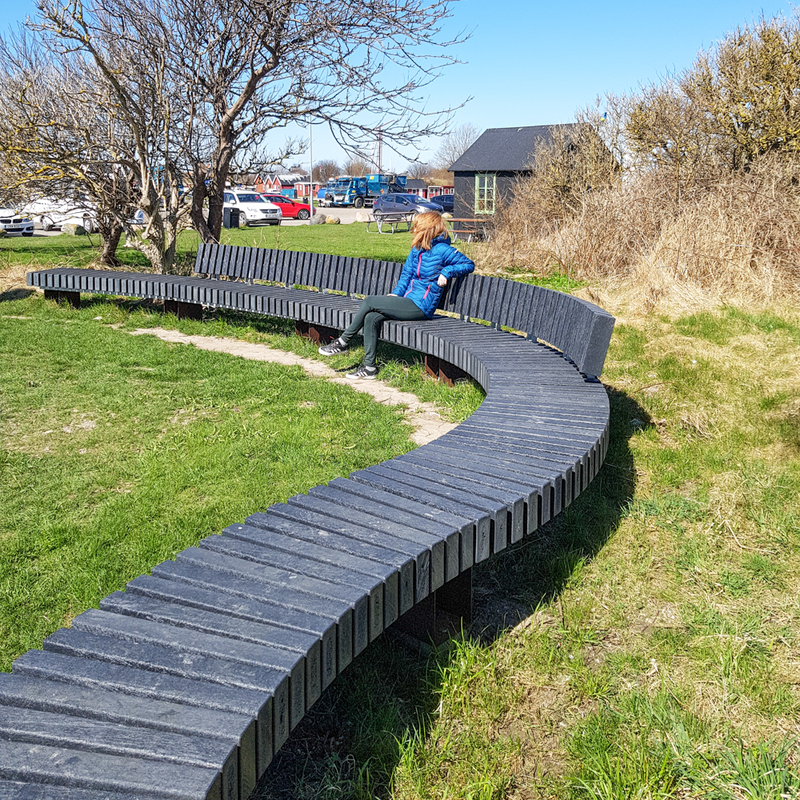 Streetlife used All Black to create an attractive 120-metre-long - 393ft Curve Bench along the banks of Vättern Lake in Atollen, Jönköping, Sweden. 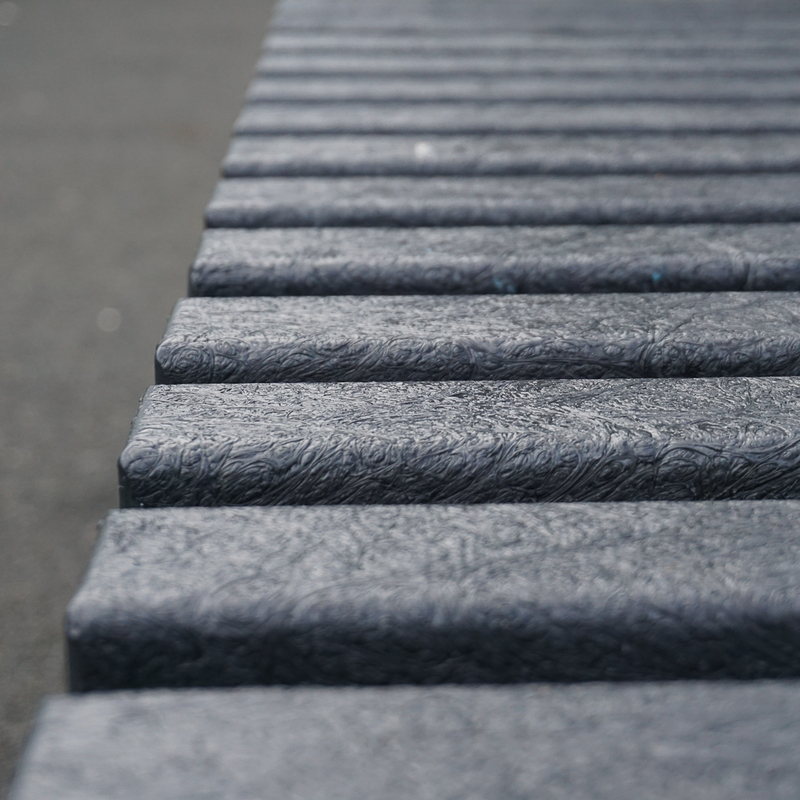 R&R Topseats with a depth of 90 cm were placed on a locally manufactured concrete console. 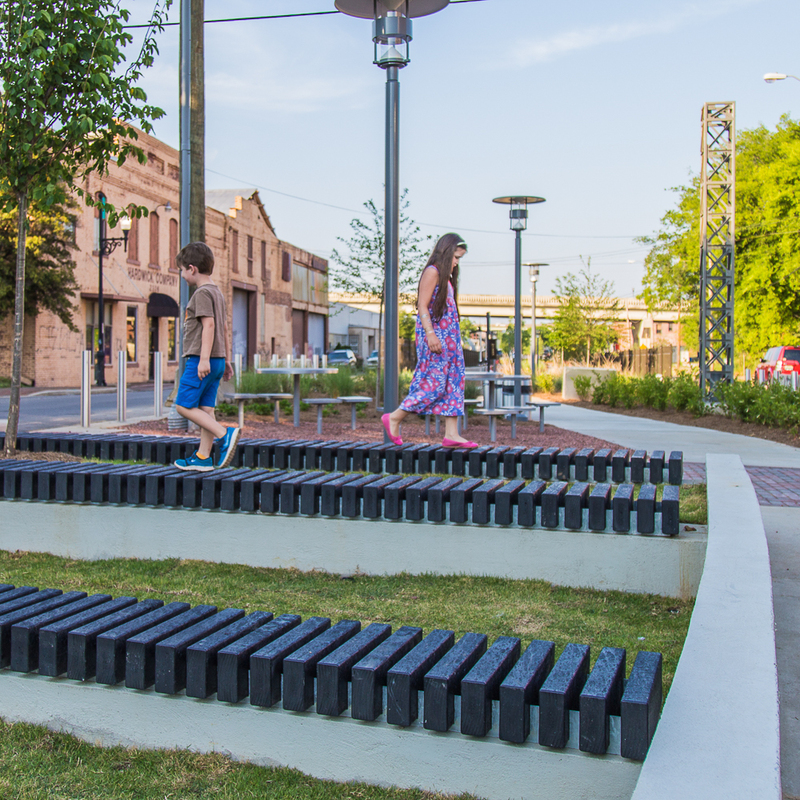 The bench meanders along the lake shore and makes for inviting seating from which to enjoy the weather and the view. Some air inclusions at the beam heads are unavoidable. The grand opening of Park Nauerna has recently taken place in Assendelft. 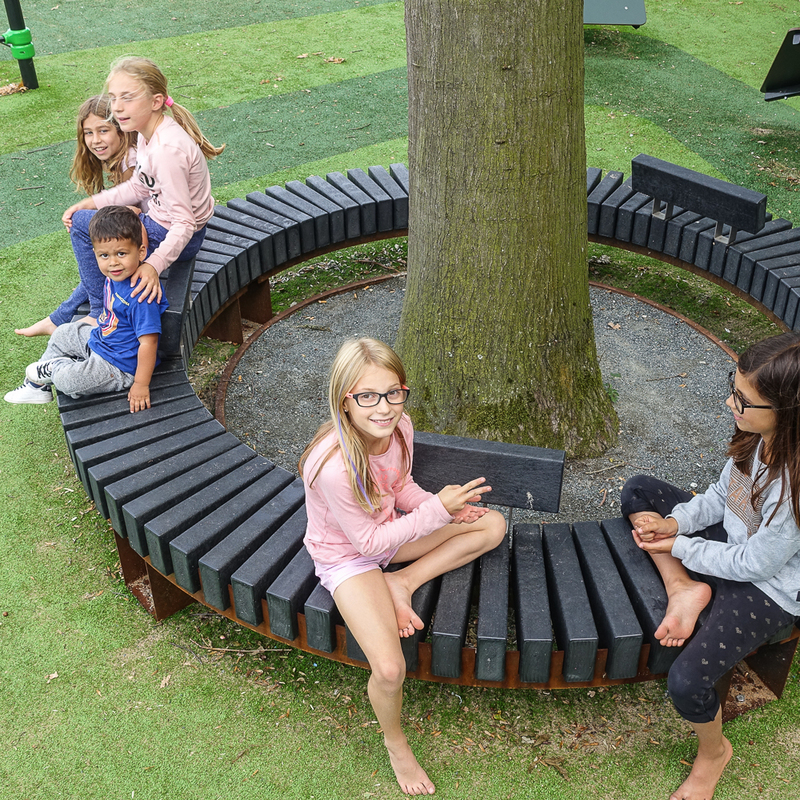 Streetlife provided several benches and pedestrian bridges for the Dutch town’s new green public space.